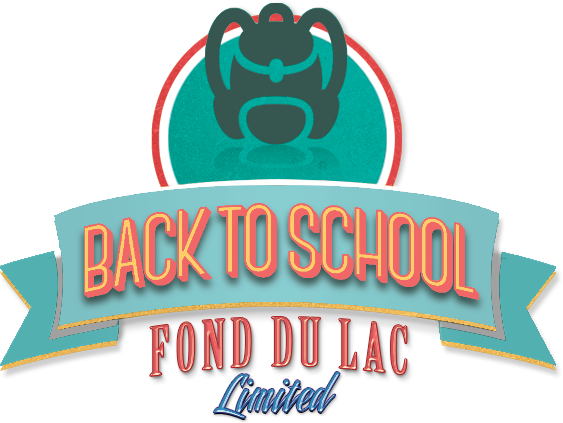 Back to School Fond du Lac, Limited | Helping Students be Equipped for School! Please follow this link for a complete list of volunteer opportunities and the volunteer registration portion of our website. We need over 100 volunteers to make this event a success. All that is required is a cheerful attitude and a smile. Please know that all donations go directly to purchasing supplies for the one-day shop. 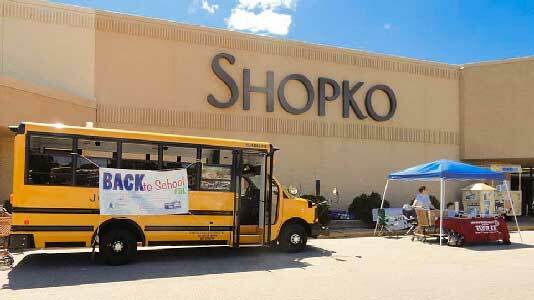 Back to School Fond Du Lac Limited is a 501(c)3 public charitable organization and donations are tax-deductible. 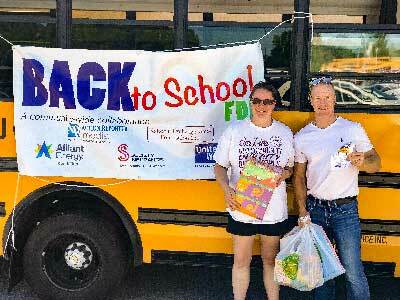 School supply donations can be brought to the Boys and Girls Club or The Salvation Army during normal business hours. If you have a large number of supplies, please call ahead so that we can be prepared to assist with the size of your donation. 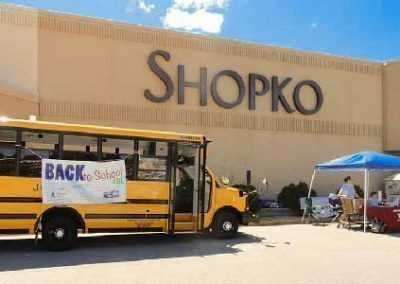 The “who” coordinating the behind-the-scenes activities for Back to School FDL are individuals from various churches, businesses, and organizations such as ADVOCAP, the Boys & Girls Club, the Fond du Lac School District, and the Salvation Army. This team relies on the support and generosity of individuals and groups throughout the Fond du Lac area for raising funds, collecting supplies, sorting supplies, distributing supplies, and shopping with the kids on Distribution Day. 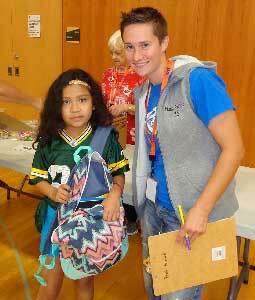 Back to School FDL focuses on the children in the local area who need assistance with obtaining school supplies for the upcoming school year. 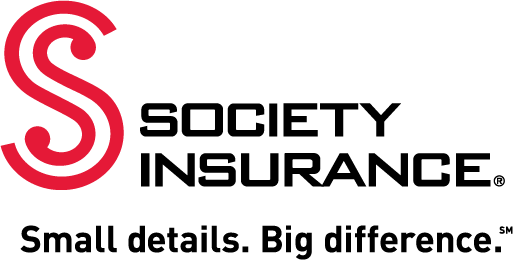 In order to meet those needs, we solicit area businesses and organizations, conduct fundraisers, and write grants so that we will have the monies available for purchasing supplies. 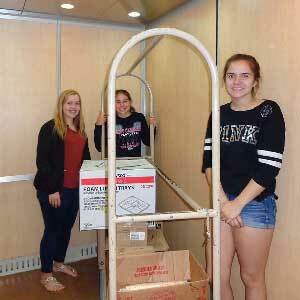 We also conduct supply drives at numerous locations throughout Fond du Lac over the summer. 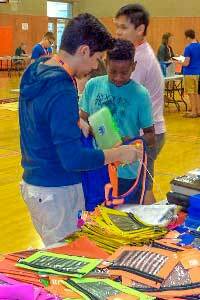 The team starts planning in January for the upcoming August Back to School Distribution Day. 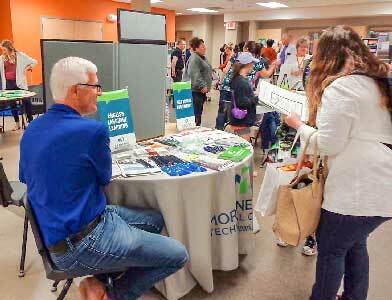 In March or April, we reach out to recruit new team members and volunteers. (Please note: We are always looking for new volunteers.) 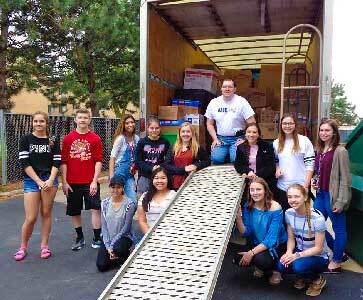 Throughout the summer, there are various fundraising activities and school supply drives. Upcoming events are listed under Calendar on this website. The event takes place each year on a Saturday in August at the YMCA | Boys & Girls Club of Fond du Lac. 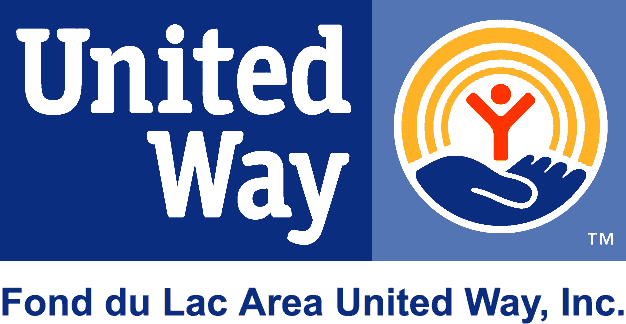 We provide school supplies to all children in the Fond du Lac area whose parents meet the income eligibility requirements and who have registered at The Salvation Army. Back to School began in 1995 and initially served about 100 students. 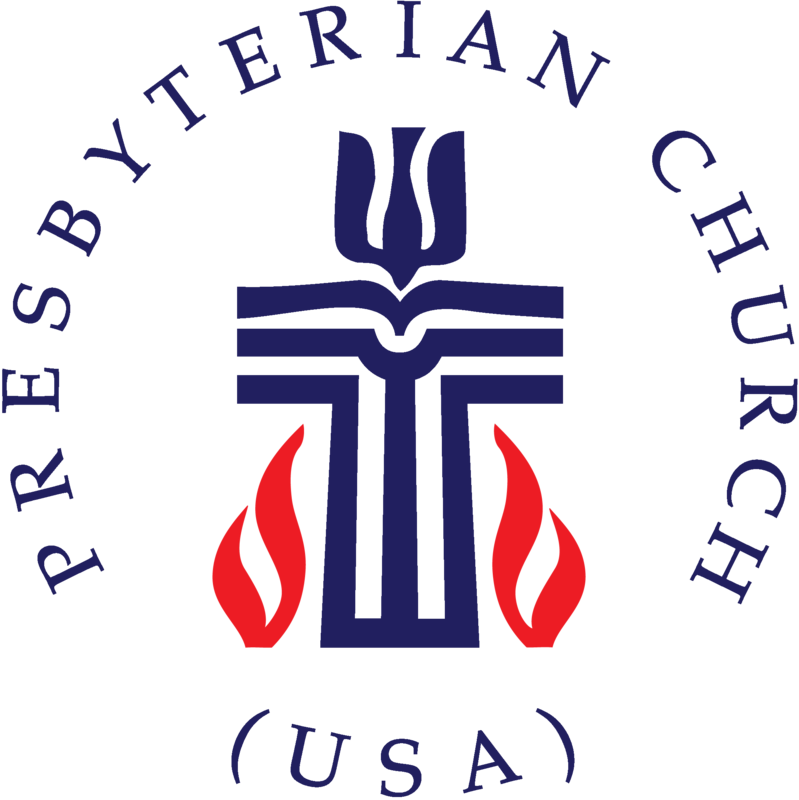 Ascension Lutheran, First Presbyterian and The Salvation Army of Fond Du Lac worked together to develop the program over the first two years. Soon many other churches joined in and the program expanded rapidly with the Salvation Army determining what families needed help and churches collecting money and supplies. 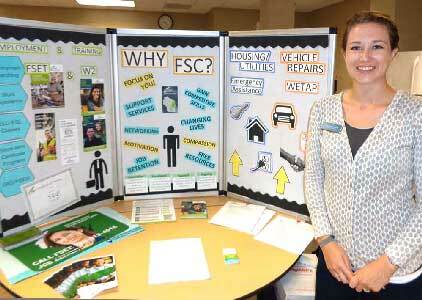 By 2007 the program served nearly 800 students in Fond du Lac County. In 2008 through 2011 the Salvation Army took over full operation and control of the program. By 2011 the number of students served dropped to 300 to 400 students. In 2012 the program was reorganized with the collaboration and support of the entire community coming together to expand the program. A dream team of Churches and Agencies was formed and by 2014, 2015, and 2016 the community wide “Back to School FDL” served over 1200 students in the county. Why You Should Provide Financial Support! The Fond du Lac School District has 7,310 students for the 2017-2018 school year. The number of economically disadvantaged students is 2,997, or 41%. These students live in families that struggle to make ends meet and have to decide what bills they can afford to pay. In situations like this, school supplies often don’t get bought. Having school supplies has a significant impact on increased interest in learning, increased class participation, increased class preparedness, homework completion, improved self-esteem, student behavior, and school attendance. Donate Today For Recognition All Year! Donate today and get the recognition you deserve as countless visitors browse this site. Our Team is counting on your support to be sure no child is unprepared. Please help make this possible with a tax-deductible contribution. Your donation helps to make our community better. Right here. Right now. by Choosing a Giving Level that’s Right for You. Just let us know the type of event you’d like to host. Experience the Joy of Working With Others to Help Our Community and it’s Youth! event you’d like to host. Experience the Joy of Working With Others to Help Your Community Youth! 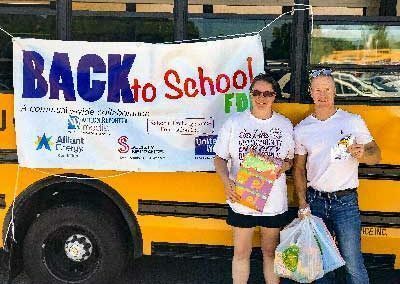 Back to School FDL, a community-wide collaboration, helps many children in the Fond du Lac area begin school each year with the supplies they need. Over the past several years, an average of 1200 kids per year have benefited from this community effort, an effort that takes many, many helping hands. Consider joining our Back to School team this year. 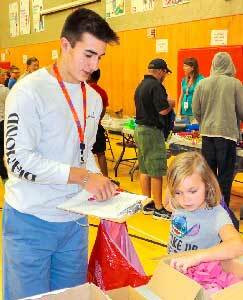 We are looking for new volunteers who can give several hours of time during the months from May through August to ensure that shopping day, Saturday August 25 at the YMCA/Boys and Girls Club, is an unqualified success. We need help raising funds, securing school supplies, distributing flyers and posters, and working in a variety of areas on shopping day. Back to School FDL is a program that works. Join us as we help children from the area start school next September with the supplies they need. Help us help kids begin school with confidence; help us help make a difference in a child’s life. 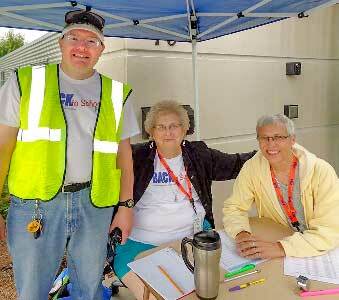 SERVICE: Registration volunteers assist families with registering their child for Back to School Fond du Lac. Volunteers verify names and distribute and explain information packets. SERVICES: Assist families with the Back to School process by greeting them as they arrive, and helping them find their way around. Also assist Registration Team to ensure families get registered in order and on time. EXPECT TO BE: Mostly standing and walking. 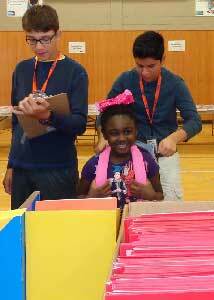 SERVICE: Volunteers will assist families with filling out Back to School application. EXPECT TO BE: Mostly sitting. SERVICE: Fill the Bus volunteers stand at the entrance of local stores and hand out flyers. Volunteers may also collect the supplies and possibly transport the supplies to the Boys and Girls Club. EXPECT TO BE: You will be outside! We recommend bringing water, a chair, and anything else you feel will make you comfortable (umbrella for shade?). This takes place in July and early August. SERVICE: Volunteers manage their assigned supplies and restock the table when their supplies run low. At the end of the day volunteers assist with packing up extra supplies. EXPECT TO BE: Sitting and Standing. SERVICE: As supplies are donated, they are stored at the Boys and Girls Club. It is now time to organize! You will be sorting and counting school supplies. Dates to be determined. 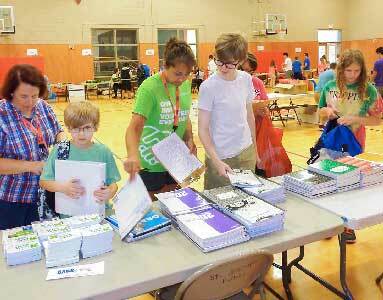 SERVICE: Volunteers assist child with “shopping” for school supplies. 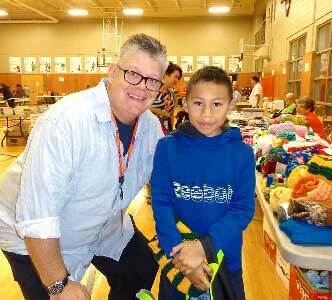 They guide each child through Back to School FDL and ensure that all needed supplies are obtained. 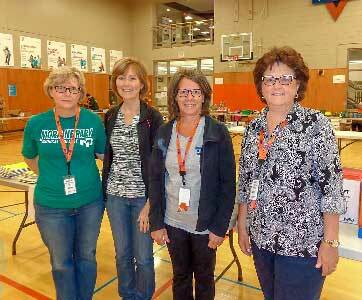 These are just a few of the dedicated volunteers that make Back to School Fond du Lac a success! We need your help in providing school supplies key to a student's education and higher quality of life. and individuals to provide assistance.